Should You Look for a Mitsubishi Lancer Lease or Financing Near Slidell, LA? One decision leaves many prospective car buyers near Slidell, LA, wondering what they should do. Is it better to look for a Mitsubishi Lancer lease or financing? This can be a difficult decision, especially if you don’t know exactly what you’re getting into. However, once you learn about these two different options, you can more easily make a decision that makes sense for your specific needs. Whether you drive all over town on a daily basis or you just want something to take you to and from work, you can find a set of wheels that meets your daily driving needs. Here are a few things to consider when you are trying to decide between leasing and financing. Let’s take a look at the benefits of leasing a vehicle near Slidell, LA. One aspect of leasing that many drivers love is the fact that you won’t have to make as much of a down payment when you lease. This is because you are only paying on the value of the vehicle’s depreciation – not the total cost of the vehicle itself. This allows you to get into an amazing car for much less than you would pay if you were to buy. However, that doesn’t mean leasing is right for everyone. Leasing can actually be more expensive in the long run, and it’s not a great investment. In addition, you’ll have to deal with mileage caps and other restrictions that you wouldn’t even have to think about if you were to finance your vehicle instead. There are many benefits to financing a vehicle over signing a Mitsubishi Lancer lease too. For example, you’ll actually own your car, which means you can do whatever you want to it. Plus, you’ll pay it off at some point, which means you won’t be making payments on it forever. However, financing a vehicle can be expensive when you have to make that significant down payment, which isn’t ideal for some types of drivers. It all just depends on how you prefer to pay for your ride and how much money you want to spend on it. 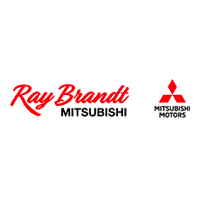 Whether you choose to sign a Mitsubishi Lancer lease or would prefer to finance your vehicle instead, you’ll want to come see what we have to offer here at Ray Brandt Mitsubishi. We want to help you find an ideal ride today.